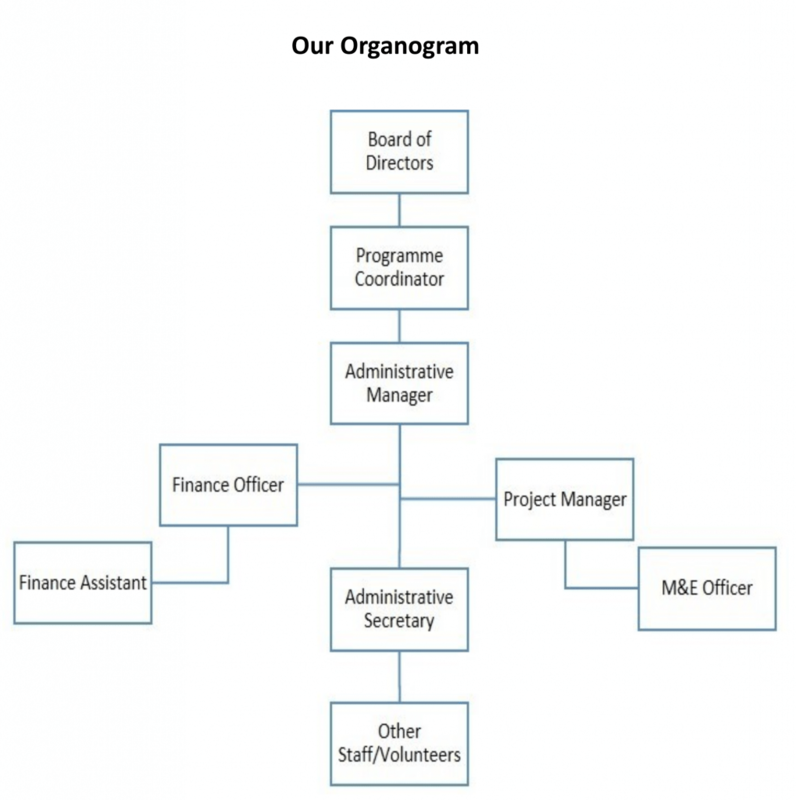 The Board of Directors is the supreme body responsible for the monitoring and regulation of the management team. This body is responsible for hiring and firing of all management staff/volunteers. Board members are the fiduciaries who steer the organization towards a sustainable future by adopting sound, ethical, and legal governance and financial management policies, as well as making sure that the organization has adequate resources to advance its mission. By default, the Board of Directors consists at least seven (7) distinct individuals from all works of life. Except otherwise prompted by prevailing issues, this body meets quarterly and annually. The management consist of group of people including permanent staff and temporal volunteers who are responsible for the day-to-day operations of the organization. Thy are a group of people with different skills and different tasks, who work together on a given project, service, or goal, with a meshing of functions and mutual support and guidance from the Board of Directors.